In October 2017, the minister of Innovation, Science and Economic Development (ISED) asked for feedback on future wireless spectrum releases it will make between 2018 and 2022. 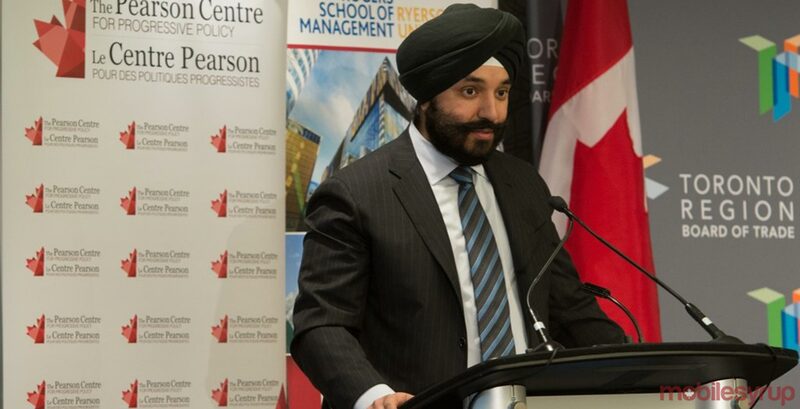 Now, municipal governments, industry players and even a couple of private individuals have responded to minister Navdeep Bains’ request with their thoughts on how to make the most of a precious and limited resource. Since spectrum delays are becoming a major source of anxiety for Canadian wireless industry players invested in 5G, many responses were lengthy and impassioned. According to those industry players, the fast-approaching 5G era will be heavily dependent on the use of new spectrum bands to hit the top speeds promised by the technology. As such, the release of 3.5GHz spectrum was a central talking point for most of the companies that filed comments. While millimeter wave (mmWave) may be the more glamourous and well-known key 5G spectrum, 3.5GHz is expected to serve as the necessary backbone. MmWave will provide the highest data speeds, but the spectrum is finicky and known for its short range. 3.5GHz, meanwhile, will provide ubiquitous coverage and is also supported by more phones. It’s a more mature swath of spectrum than mmWave, but still has lots of room for development. In the previous Spectrum Outlook, published in 2013, the government suggested that spectrum in the 3.5GHz band might be released sometime within 2016 and 2017, but there was uncertainty about how the band was developing globally. In Qualcomm’s submission, the chipset giant reports that 3.5GHz is a sure bet — and that Canada is now actually lagging behind due to its hesitation. Qualcomm cites a 2016 report from the European Commission’s Radio Spectrum Policy Group that states it considers the 3,400 to 3,800MHz band to be the primary band suitable for the introduction of 5G services in Europe. “In order for Canada to keep pace with other nations and regions around [the] world, we urge ISED to make the 3.5GHz band available for commercial mobile use as soon as possible,” wrote Qualcomm. It was joined in this plea by many industry players, including Bell, Telus and telecom infrastructure company Nokia. The mmWave spectra currently being consulted on, 28GHz and 37-40GHz, was mentioned less frequently, but still cited as crucially important. It recommended that ISED issue a decision on the 600MHz consultation as soon as possible, and then progress to auction. While the long-range (but limited) 600MHz spectrum was not of much interest to other carriers for its lack of 5G potential, the framework proposed for the 600MHz auction was a major point of contention. In their respective submissions, Rogers, Telus and Bell all filed arguments against setting aside spectrum for purchase at auction by non-incumbents, which ISED suggested for the 600MHz auction order to help regional and smaller players build their networks. For its part, Shaw recommended the government set aside spectrum for non-incumbents in future mmWave spectrum auctions. One thing there is little disagreement on, however, is the desire for the government to speed up its spectrum release process. This was particularly the case with Telus, one of the most vocally active 5G proponents in the Canadian wireless space. Telus suggested ISED need not auction each spectrum band individually, instead arguing the government gather 3,500MHz, 600MHz, 28GHz and 37-40GHz into more efficient multi-band auctions. Additionally, Rogers, Shaw, Ericsson and others brought up another pressing issue for 5G deployment: the bureaucratic process of acquiring permission to install all the small cell sites necessary for a densely-packed 5G network. All wrote to ISED arguing for easier and quicker access to municipal infrastructure. Telus also approached a slightly delicate subject — the topic of network sharing. Telus and Bell have long been network partners (as have Rogers and Videotron, as Telus pointed out), and in its submission, Telus broaches the subject of securing spectrum adjacent to its partners, but phrases it in the most obtuse way possible. Telus also advocated on behalf of Sprint, which submitted a comment regarding the 800MHz band. In the U.S., Sprint has been re-configuring the 800MHz band to separate public safety licenses from commercial cellular operations in order to reduce interference. Sprint wants to harmonize on that initiative, stating that it will mutually benefit the U.S. and Canada by maximizing the spectrum available for commercial mobile broadband in this band along the border. But while all of this is very much mobile-focused, there was a strong contingent of voices advocating for spectrum use in fixed wireless broadband — an especially important endeavour for rural locations. Spearheaded by companies like Xplornet and Seaside Communications, both of which offer fixed wireless to households and businesses in rural communities, a group of sparsely-populated municipalities, including Colchester, Antigonish, Richmond and Victoria County, advocated for ISED to take into account the need for 3,400-3,700MHz spectrum for wireless internet service providers. Meanwhile, Facebook has its own proposal to provide connectivity in Canada’s remote communities: drones. Specifically, solar-powered, high-altitude unmanned fixed–wing aircraft to deliver broadband fixed backhaul connectivity to extend the reach of broadband providers’ networks. Many other ideas and issues came to the fore as well, including dynamic spectrum sharing — something that carriers said was still in testing and shouldn’t be considered within a larger licensing framework just yet — and the flexible use licensing model that ISED previously proposed for mmWave. The model allows for use as both mobile or fixed wireless, and gained praise from many of the companies that submitted comments.